it's something taken from canon and expanded upon in fanon. There were a couple of mentions of cherry coke in the show and people seized on that. Just like Michael was shown with art skills twice and that morphed into a career in art. nibbles2 wrote: Just like Michael was shown with art skills twice and that morphed into a career in art. Oh, I'm so guilty of this. Really, though, I wish they'd gone further with that in the show. to be incorporated in almost every fanfiction....it just goes to show how fanfiction can keep a show alive and ongoing even years after the shows completion. Well, I can tell you that Max, at the very least, ordered Cherry Coke at the Crash more than once - as to everyone else, I'm not sure. It might just have been one of those small canon details that fandom snatched up and held onto for dear life, lol. nibbles2 wrote: it's something taken from canon and expanded upon in fanon. There were a couple of mentions of cherry coke in the show and people seized on that. Just like Michael was shown with art skills twice and that morphed into a career in art. I remember the dome but what was the other time? Was it the napkin holder? Does that count as art? I forgot about the napkin holder, that showed his creative side too. I was talking about the dome painting and in Summer of '47 he was shown drawing a cartoon. lol I don't remember that, but it's awesome. 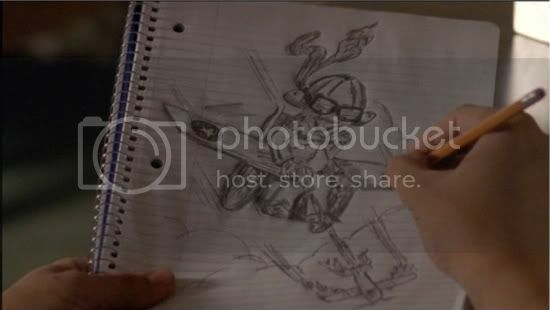 Hey, I totally forgot Michael drawing a cartoon! This is great, nibbles! But since we're in the subject, where does the term Ice Princess come from? The books? That's through out fanfiction as well. I think the term Ice Princess may have been in the books but it was never used in the show. Isabel and Alex had a conversation in Four Square where her referred to her desire to go slow as 'glacial' and she told him it was time to melt the ice. I think it's just one of those fanon things.